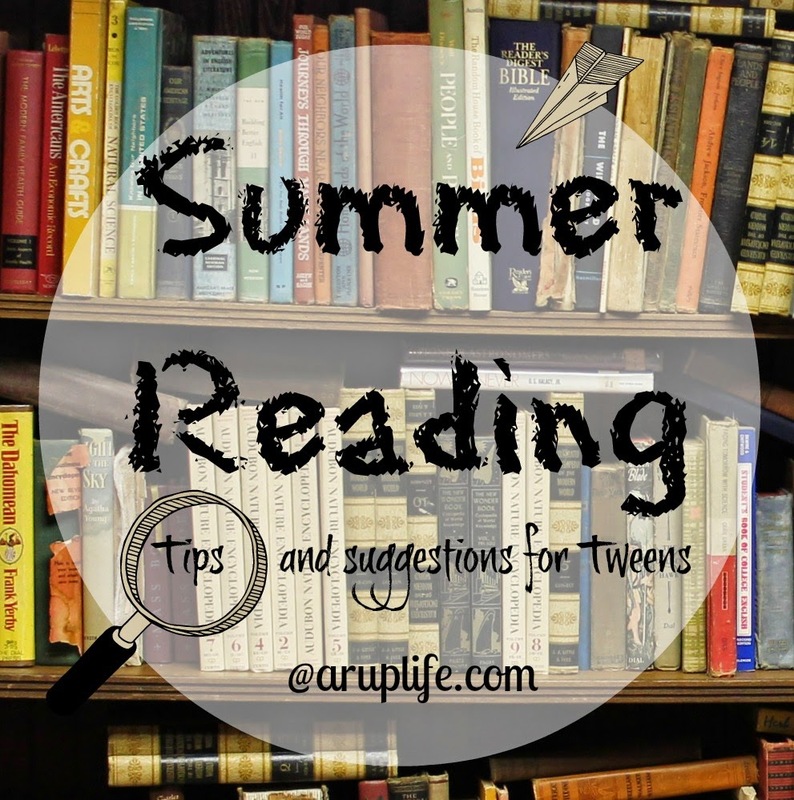 A RUP LIFE: Summer Reading: Tips & Suggestions for Tweens! Summer Reading: Tips & Suggestions for Tweens! Summer reading has always been important. We started this independent program when my kids were able to read on their own. When they were little they were required to read one of those level 2-3 easy readers each morning. When they reached 4th-8th we stepped it up. The books had to be 100 pages long and have more words than pictures. We would go to the library and they were able to pick books for the week. Our library has a reading program that rewards them for books read. That was a great incentive for them to do the work. Once those are complete they can move onto anything fun. Usually they would read during breakfast. This was a great way for them to multi-task. This book is about a boy that uses survival skills to live alone on a Mountain. I actually read this book when I was little and it has remained a favorite of mine. I was thrilled when my boys read it too! This is still my favorite book - ever! I have read it so many times. I love the magic of the finding and restoring the garden! Great for girls and boys! We all loved this series. We did this as a read aloud last year and my kid's begged to hear more each night. just a side note: I do not recommend the newer series Heroes of Olympus - the material is very mature in my opinion with lots of dating. You can't go wrong with Judy Blume's series! These had my kids laughing - interestingly I read these when I was little too! This post was part of the School House Review Crew - by clicking on the image below you can see more post about Summer Reading for Middle Grades!